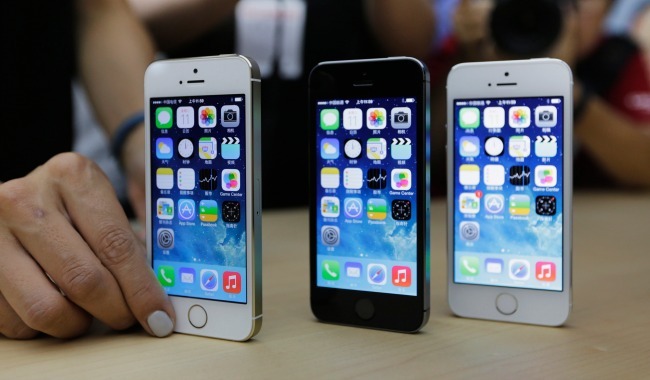 Critics say that the company's un-cheap "cheap" iPhone was still too expensive. Here's why they're missing the point. For years, the conventional wisdom regarding the iPhone in China was this: As popular as the iconic smart phones were in China, they were simply too expensive for most people: The just-released Apple 5S is priced in China at 5,288 RMB, or about $864, a figure higher than the average monthly salary earned in Beijing. So when word leaked that Apple would release a cheaper version of the iPhone, partly to attract consumers in emerging markets, the idea seemed to make a lot of sense. iPhones, already a hot item in China, were now affordable for millions more people. Coupled with Apple's pending deal with China Mobile, the world's largest mobile network, at 700 million subscribers, Apple's push into the Chinese market seemed unmistakable. The company even put together a launch event in Beijing for the first time in its history. For Chinese fans of Apple's products, all of this was welcome news. But there's just one problem: the “cheap” iPhone is still really damn expensive. An “unsubsidized” (those not tied to a contract) 5C starts at 4,488 RMB, only 17 percent cheaper than the full-featured iPhone 5S, putting it out of the price range for the vast majority of China's citizens. Understandably, consumers hoping to purchase the phones were not happy. The South China Morning Post quoted a Sina Weibo user as feeling “cheated,” while several would-be customers in Beijing told Bloomberg's Christina Larson that they'd likely pass on the new phone. The bad publicity of the phone even took its toll on Apple's stock price, which fell by almost 6 percent. All of this raises a question: Did Apple blow it? Did they, by failing to read the Chinese market, accidentally charge too much for their new phone and price themselves out of the world's fastest expanding smart phone market? Not really. The idea that Apple committed an unforced error by refusing to sell an actual cheap iPhone reflects a common misunderstanding of the Cupertino, California based company's business model: Apple isn't just trying to sell phones to as many different people as possible. In fact, avoiding this strategy has been instrumental in its success in China. Analysts interpreting Apple's interest in China have come up with a simple formula: China has a lot of people. Many of these people don't have smart phones, but will (soon) be able to buy them. Therefore, Apple should make sure that these people buy iPhones rather than something else. But the problem is that, even if it wanted to, Apple cannot compete on price in China. As with other imported goods, iPhones are subject to import tariffs that drive up prices and cannot match what domestic manufacturers like Xiaomi, which can offer a smart phone at prices as low as $100, can charge. Even if Apple were to sell a smart phone at, say, $250—a price that would significantly cut into its profit margin—most Chinese consumers would go with the cheaper brand anyway. In addition, most inexpensive domestic smartphones run on Google's open-source Android operating system, a platform that supports a large and growing market for apps and games that appeal specifically to the Chinese market. So even if Apple could successfully compete on price with domestic carriers, many customers would still be reluctant to abandon Android for Apple's closed-source platform. Most importantly, offering an inexpensive phone would damage Apple's most valuable asset: its brand identity. Imported luxury goods are so popular in China in part because they're expensive; for a Chinese consumer, owning an iPhone confers a status that a cheaper smart phone cannot. Charlie Custer, who writes about China and technology for the blog Tech in Asia, put it this way: “Offering a low-cost phone in China would have been a terrible idea for Apple—it would have destroyed their brand as a luxury product.” If a wider share of China's population could suddenly afford to buy iPhones, the product would instantly lose its cache as the choice of China's elite—a group whose numbers and influence continue to grow. So why did Apple bother creating a cheaper iPhone and marketing it to China at all? Brand loyalty is the main answer. Fanatically loyal Apple customers will buy the company's latest products no matter what; for them, high-end alternatives like Samsung's Galaxy phones have no appeal. And, as Custer put it, consumers who pass on the Apple 5C will find themselves "two phones behind," in terms of new features and technology, and will be more likely to buy a full-priced iPhone 6 upon its release. Apple surely wants to broaden its appeal in China: it wouldn't bother negotiating with China Mobile, the world's largest mobile carrier, if it weren't. But Apple is willing to wait for the Chinese market to come to them, rather than the other way around. China's economic growth has brought hundreds of millions of people into the middle class, but has also made a significant number of people rich; rich enough, at least, to be able to afford Apple's suite of products. So by introducing an iPhone 5c at relatively high prices, Apple is banking that the type of customer, rather than the number of them, is what truly matters.